McDonald’s plays a key role in supporting our Ronald McDonald House Charities chapter, as well as many others all around the world. 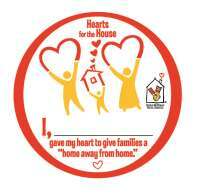 However, by design, McDonald’s does not fully subsidize our RMHC chapter, or any other chapter. Each local Ronald McDonald House chapter is a separate public charity organized to be supported by its local community and governed by a local Board of Directors. Global Ronald McDonald House Charities provides each local Chapter with a seed grant, and McDonald’s Corporation licenses the Chapters to use the Ronald McDonald name. Today, we receive support and participation from our McDonald’s partners through a variety of programs and events that raise funds for RMHC Jacksonville. Local owner/operators also support our chapter by serving on our Board of Directors. 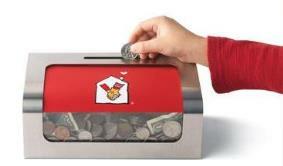 The McDonald’s donation boxes raise much-needed funds for our programs all throughout the year. When you give a little through the donation box you make a big difference. McDonald’s stores in our area also host annual in-store promotions. Be sure to visit your local restaurant to see how you can support while dining in. Beyond activities in the restaurants, our McDonald’s partners also join us as event sponsors and food sponsors during some of our annual events.